Eurocom Corporation has created a fully comprehensive program that ensures students of all computing needs and disciplines have access to the hardware they require. Eurocom has always been at the cutting edge of computing technology, offering the highest performance options available on the market to ensure customers who require highly capable mobile platforms have access to them through Eurocom. This cutting edge technology is now more available than ever through the Eurocom Educational Program. Eurocom is committed in assisting students and future generations acquire highly capable computer equipment that can last a lifetime. “Eurocom has a goal of helping every student and graduate progress towards being an active participant of the global workforce. Eurocom is rewarding the quest for knowledge by offering increased discounts for higher educational achievements” explained Mark Bialic, president of Eurocom. The creation of the Eurocom Educational Program comes on the heels of a major trend in the Engineering world to a mobile workforce. Eurocom has pegged this trend as a move to an Engineering-on-the-Go framework. Where Engineers, armed with powerful Mobile Workstations perform their duties without the constraints of being tied down to their desk by their desktop computer. But this trend isn’t limited to Engineers, businesses the world over are becoming more and more mobile by the passing day. This trend has lead to a gap where professionals of today are becoming increasingly adept at operating on-the-go while students are struggling to integrate due to their lack of mobile experience. A computer in a Mobile Workstation notebook-format gives engineers the opportunity to adjust their original plans and designs offsite when the feedback is received. Compared to the traditional design and development process, where the engineers travel between their office and clients, Engineering-On-The-Go offers them the opportunity to shorten the design & development process and decrease project costs. The same can be applied to students; an ideal process is for Students to bring their workstations to their classes, meetings, jobs and internships to allow them to work on their projects at any time. Historically students have had to deal with the mobility limitations of a desktop computer, not any more with the introduction of Eurocom’s Educational Program. The Eurocom Educational Program is perfect for students for a variety of reasons. First of all Eurocom offers leasing options combined with discounts to ensure students with limited financial resources can invest in a platform that will provide fantastic opportunities to return the initial financial investment. Once a student is armed with professional engineering grade systems they can begin to perform engineering consulting work to gain valuable work experience and provide an income to subsidize their education. Leasing Eurocom systems provides a very easy way to get highly capable systems at a low monthly rate. For students and graduates the benefits of acquiring Eurocom hardware are immense. First off, customers can customize their Eurocom system to suit their exact needs. This way buyer’s can choose only the components they need. Engineering students can acquire engineering grade hardware at a discount that they can use to generate an income doing projects during and after their schooling. This will help Engineering students integrate into the mobile global workforce with experience operating on-the-go. Students can graduate into the professional workforce with capable hardware similar or better than their more experienced counterparts. Students can utilize their Eurocom hardware for school, consulting and co-op placements. Built to an engineering grade, Eurocom systems will last a student his entire education and beyond because they are built to an engineering grade with the most advanced components available. Graduates can enter the workforce with near limitless hardware that matches up against the best in the industry. Organizations gain access to Eurocom All-in-One systems which are the perfect solution for computer labs and offices. Schools can equip their students with the best Mobile platforms currently available. Schools can equip their educators with the best in Mobile Workstations and All-in-One PCs. Schools can customize their Eurocom system to suit their exact needs and choose only the components they need. Eurocom can provide custom ‘branded’ systems using patent thermal printing technology. Being fully customizable educators can configure their systems to meet their specific needs. Built to an engineering grade Eurocom systems will are able to last in even the rowdiest of class rooms. Educators can teach using the highest performance and highest quality systems available. Eurocom systems are essentially future proof, there is no need to buy a system every few years because Eurocom systems can be equipped with the best available components. Eurocom offers an Educational discount of 5% to High School Graduates, University Students and Educators and 10% to University Graduates and Post Graduate Students. For institutional purchases, it is recommended to contact a Eurocom Corporate Sales Manager to customize a purchase. Customers who qualify for Eurocom’s Educational Program can choose to pay directly or through Eurocom’s lease broker, customers can apply for a lease or lease buyout. Please contact Eurocom for complete details. Canadian and US residents who are High School Graduates, University Students and Graduates and Post Graduate Students and Graduates from an accredited Canadian or American University, College or High School. To qualify as a graduate one must have graduated less than 2 years previous to the time of purchase. A copy of diploma, student card or admission letter issued by schools registrar’s office is needed to prove ones eligibility. This promotion is subject to approval by Eurocom Corporation prior to the purchase and applies to purchases made directly from Eurocom Corporation Only. Eurocom is the world’s leading developer of desktop replacement and mobile workstation technology. Eurocom began with the goal of creating the most advanced computer systems and using advanced engineering techniques typically unseen in the computer industry. The company has produced many firsts and continues to engineer well-balanced machines and VGA solutions that inspire and enable individuals to reach great possibilities. 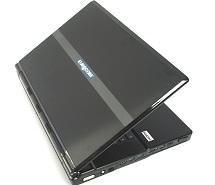 For more information on Eurocom or to customize a machine, visit www.eurocom.com.